A Turkish fighter jet shot down the Russian plane. Militia, under Turkish command, have killed the pilot who attempted to surrender. The pilot, being one man surrounded by hostile forces, clearly unable and not wanting to fight, would have followed protocols and Geneva convention proscribed procedures, and attempted to surrender. Instead, he was either killed in the field or executed by the Turkmen militia once captured. It is highly probable that these actions taken by militia, as a proxy force under direct command from Ankara, carried out these actions with tacit state approval. Turkmen militias have played a supportive role in supporting ISIS border crossings and ISIS oil shipments into Turkey. 1.) Russia has no formal or informal targets in Turkey- The plane posed no threat to Turkish national security, when construed legally. This means that Turkey’s act can be construed as an act of war. Turkey struggles to maintain its interest in the Syrian conflict, importing oil from ISIS controlled areas. Russia recently dealt a serious blow to ISIS, striking a convoy of oil trucks headed to Turkey. From this perspective, Turkey has retaliated against Russia. 3.) Continue to invoke the Paris attacks as further pretext for anti-ISIS actions in Syria: Perpetuate rift between anti-ISIS France and pro-ISIS Turkey, focus and broaden the scope of this obvious contradiction. Create a security related ‘amicus brief’ to the French prosecutors and courts pursuing the Paris attack matter: this should focus on Turkish connections to ISIS. Push the Paris-Berlin axis to oppose Article 5 invocation. 7.) Publicize Bilal Erdogan’s role in supporting ISIS – engage in a media campaign which personalizes an otherwise state-based, abstracted accusation into a personality based, anthropomorphic version of the same. 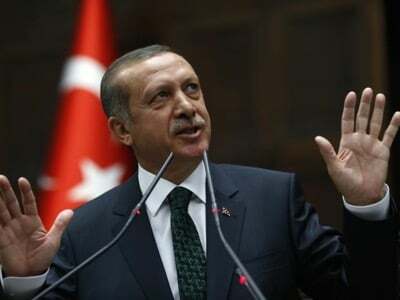 Publicly connect Turkey’s actions against the Russia to the criminal activities of Bilal Erdogan. Joaquin Flores is a Mexican-American expat based in Belgrade. He is a full-time analyst and director at the Center for Syncretic Studies, a public geostrategic think-tank and consultancy firm, as well Veritas, a London based private geostrategic consultancy firm, and as as the co-editor of Fort Russ news service. His expertise encompasses Eastern Europe, Eurasia, and he has a strong proficiency in Middle East affairs. Flores is particularly adept at analyzing ideology and the role of mass psychology, as well as the methods of the information war in the context of 4GW and New Media. He is a political scientist educated at California State University. In the US, he worked for a number of years as a labor union organizer, chief negotiator, and strategist for a major trade union federation. He presently serves as the president of the Berlin based Independent Journalist Association for Peace.